Wandering through a dark castle filled with piles of seeming rubble. Arguing with a secretly wealthy man who donates almost all of his money to help others, still lives with his mother, and refuses to wear shoes. 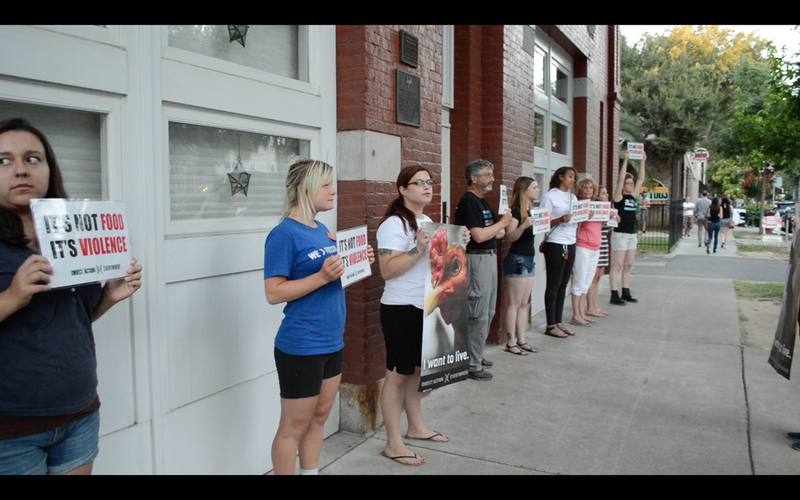 And being inspired by the enthusiastic support of a few animal rights celebrities… but, even more importantly, the humble and good-hearted souls who comprise the animal rights movement in the Northeast. Things could hardly get better. But first, an apology. I meant to post short updates to the blog on a near-daily basis. But various problems and projects have gotten in the way. So blogging time has been hard to come by. The craziest moments, however, are hopefully behind us. So I hope to catch up a bit, now. Let’s start with some early reflections. We flew in on the red eye, and neither Ronnie or I got much, if any sleep. This was unfortunate because our first two meetings were with two of the smartest and most impressive people we’ll meet on the trip. First up was my friend Alice, an enterprising Harvard Law School student who, after training to play the viola at conservatory, switched to a legal career and was as successful as a paralegal and law school applicant as she was as a musician. Alice is part of an incredibly smart and provocative group of young climate activists at Harvard who are pushing the school to divest from fossil fuels. And, in many ways, their campaign is not unlike DxE’s. For one, the ultimate end goal is social normative, rather than economic. There is a recognition that even Harvard, for all its seeming economic might, is just a flea compared to the fossil fuel industry. So the goal in the divestment campaign is not to deny Big Oil Harvard’s dollars but rather its intellectual, social, and moral credibility. The thinking goes something like this: if we can convince the Harvards of the world to be so ashamed of fossil fuels that they will no longer invest, it could create a cultural cascade that spreads through our entire society. Alice and her colleagues are using Harvard -- sterling reputation and all -- as a lens through which we can understand the bigger problem: catastrophic damage to our climate. And as I talked to Alice about the Harvard campaign, I could not help but think of Chipotle. We talked a lot about the similarities in strategy. The divestment campaign, like DxE, has many autonomous groups around the country working toward the same objective. Like DxE, it has pushed traditionally passive activists into bolder and more disruptive action. (A Harvard student was arrested during a civil disobedience for the first time in recent history.) Like DxE, it is focused on creating cascades of social and moral influence. There will be much to learn and share in the weeks and months to come, and I’m hoping that I can stay in touch with Alice as she and her group continue working hard to save our planet. That evening, we had our second gathering with Jeff Kaufman, our host for the evening. Jeff is a prominent figure in a movement called Effective Altruism (EA). Spawned from the work of Peter Singer, especially his famous call to combat global poverty, Famine, Affluence, and Morality (which has become such a significant paper that it has its own acronym -- FAM), EAs use evidence to determine the most effective methods to make the world a better place. While many EAs I had discussed of late have fanciful (and I think non-falsifiable) beliefs about so-called x-risk -- risks to the existence of the human race, or life itself (everything from evil artificial intelligence to nanotech triggered grey goo) -- there has been increasing attention given to animal rights within the EA community. 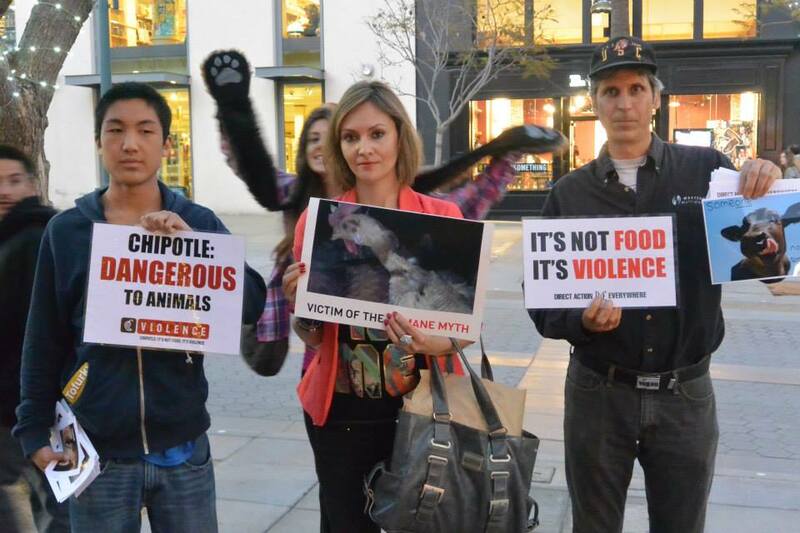 Jeff, as a prominent blogger, community leader, and role model for EAs everywhere, has had an influential voice in trying to understand the most effective tactics for animal advocacy. But strangely, he’s not himself an animal advocate. And good thinking, Jeff suggests, has been in short supply. This is not a problem unique to animal rights. Indeed, even in Jeff’s priority cause -- alleviating global poverty -- there is shockingly little evidence suggesting that our collective solutions have had much positive effect. But animal rights seems unhinged from the broader literature on development. Insights and concepts that are part of the common parlance in development -- e.g. the importance of institutions, the difficulty of social prediction, the power of inertia, the necessity for skepticism -- are still missing in our discussions of animal advocacy. 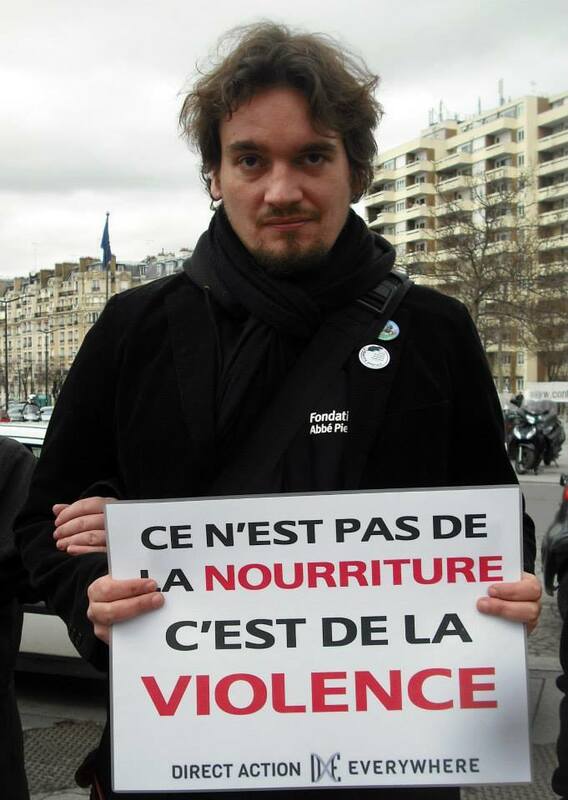 Jeff is helping us change that with provocative posts like this one: Pay other people to go vegetarian for you? This comes despite the fact that he views animals as morally insignificant. 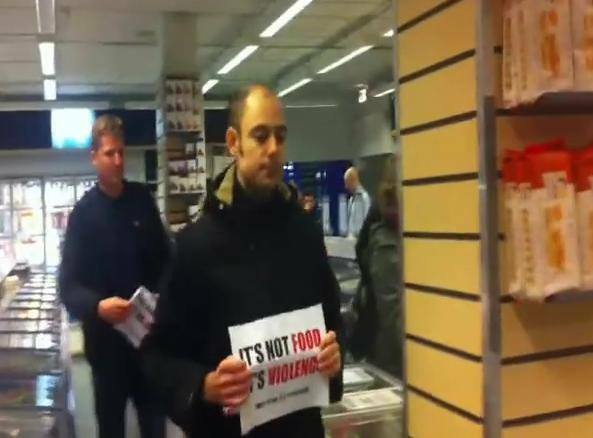 And yes, he eats animals. To some, this might be reason to condemn Jeff as a monstrous and selfish person. But this can’t possibly be right. By any objective standard, Jeff and his wonderful wife Julia are among the most selfless people in the world. Jeff, a high paid engineer at Google’s Boston office, donates 50% of his income to charity, still lives with his mother, father, and two sisters, and is famous for often refusing to wear shoes. Julia, in turn, matches Jeff's donation rate, and is a social worker who has written beautifully about our obligations to the poor… about how many of the things that we take for granted as belonging to us are, in fact, granted to us only by the hands of fate. Words that she shared with Jeff, many years ago, have resonated with me strongly since I first read them on Jeff's blog. It's easy for me to buy a milkshake at Bev's if I'm in Carytown. But if I were living in Bolivia and that two or three dollars could help my little sister pay school fees, would I still buy the milkshake? Of course not. At the end of the year that two dollars goes to Save the Children instead. The hardest thing is remembering the kids in Bolivia when I'm in Carytown. It always makes me feel like yelling or crying when my roommate tries to talk me into going with her to the ballet or opera, because I don't know how to explain to her that the money for that ticket isn't really mine—it should really belong to someone who needs it, and I have to give it to them. This sort of compassion is uncanny -- and is exactly the sort of sentiment we need more of in the world. But the cause of animals, to many people, remains sadly remote. Jeff doubts the consciousness of animals. Julia, in turn, recently posted her worries that a too-aggressive form of veganism -- the dominant framing for animal rights -- is necessarily exclusionary and classist. We spoke into the late hours of the night on these and other issues. And while I could sense increasing sympathy for what we at DxE (and the animal rights movement generally) are trying to accomplish, there was no epiphany moment. Instead, I went to bed with two important lessons. First, to make any headway, we need to make a real place for ourselves in the modern Left. 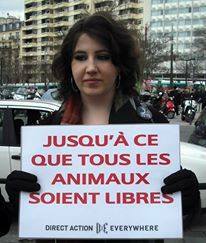 Even among the most passionate do-gooders in the world -- indeed, perhaps especially among such people -- animal rights is a cause that is, at best, not understood, and, at worst, openly derided as ridiculous, trivial, or even oppressive. There is not a single strategy for us to change that perception, but, as I have suggested previously, (1) increasing our message strength and confidence and (2) our movement’s diversity are key. Second, though -- and this is just as important -- Jeff and Julia are examples of why we must proceed with humility. Though neither is particularly interested in animals, they are fiercely devoted to making the world a better place -- and have made far greater commitments than the vast majority of the social justice community. In short, far from being bad people, they are two of our planet’s best people. Of course, doing one good, or even great, deed does not excuse other bad ones. And I would never suggest that we should back down from our belief that every animal has the right to be free from harm. 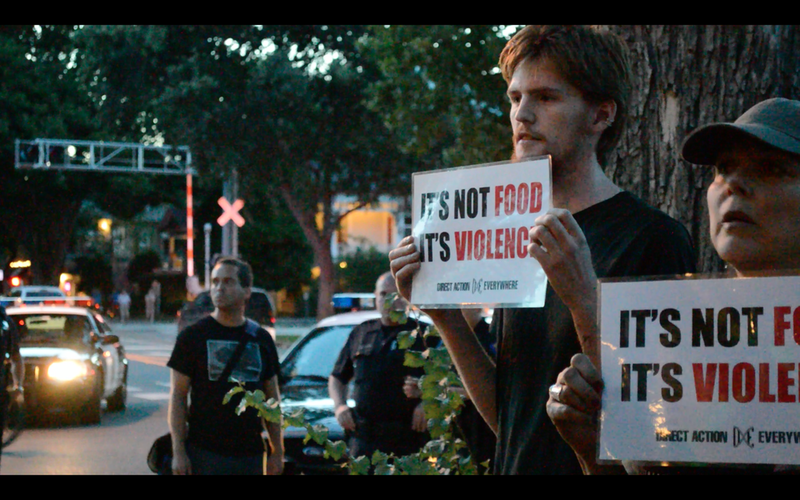 After all, it is one of the basic ideas of this tour that our movement needs to inspire the strength to say what it truly means: that every bite of meat is an act of discriminatory violence. But we should not, and cannot, go about our work with a sense of superiority, entitlement, or (worst of all) power over those around us. Far from it, especially when our message itself is confrontational, it is important for us to proceed with humility and even generosity towards others. Let’s speak honestly and directly when we feel our animal brethren’s lives and bodies are being disrespected, physically torn to pieces right before our eyes. But let’s come to that position from a place of love and nonviolence. 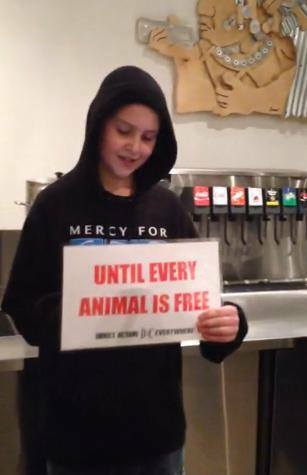 If you’ve had a confrontation about speciesism, offer to buy someone a meal afterwards. Acknowledge areas where your interlocutor may, in fact, be better than you (as both Jeff and Julia are, in so many different dimensions). And above all, don’t give up hope. 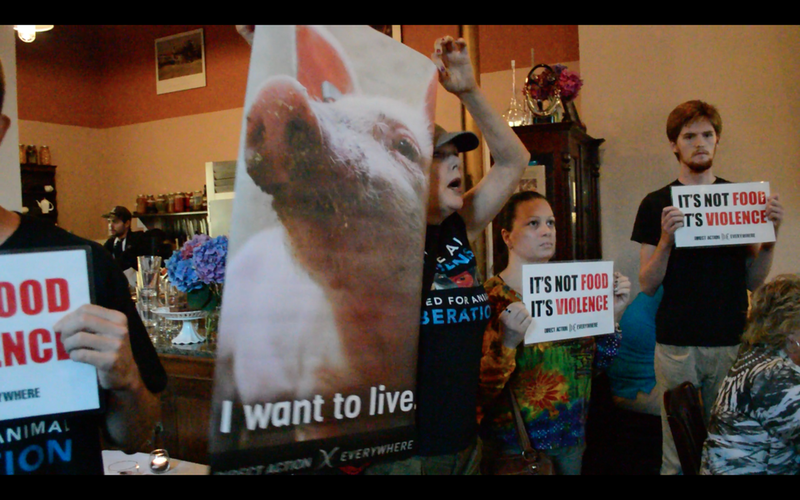 Perhaps by far the most inspiring aspect of our tour after all, is how, in city after city, the idea of animal liberation is bubbling up to the surface. It’s still largely unnoticed by the mainstream. It needs time and nurturing to develop. But it is an idea that has been independently discovered by communities, cities, and even entire nations. And when progressives all over the world are converging on the same basic set of beliefs, it is a powerful sign that the writing is on the wall. That is reason, not just for hope, but confidence. The world is changing faster than we think. 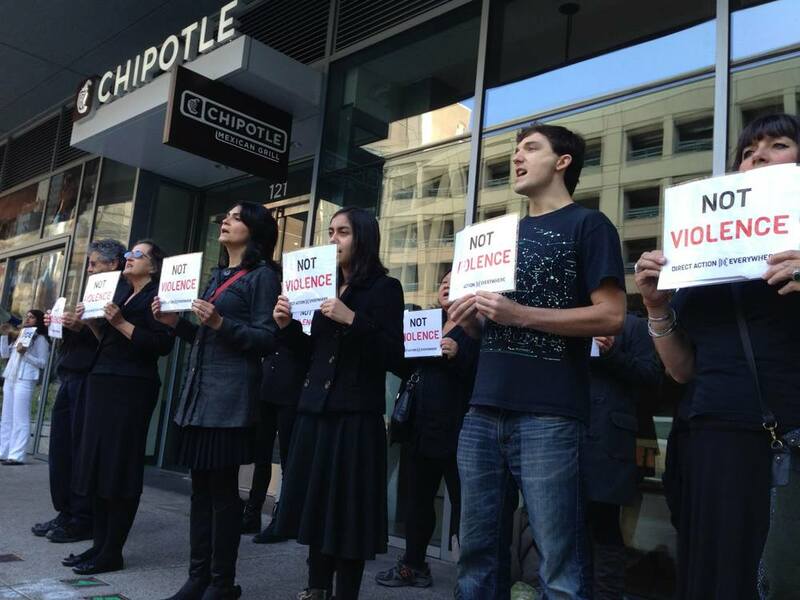 At Chipotle's last two "Cultivate" festivals in San Francisco, their keynote speakers have been extremely dismissive of our criticism of the company's humanewashing, in an effort to downplay the violence they profit on. 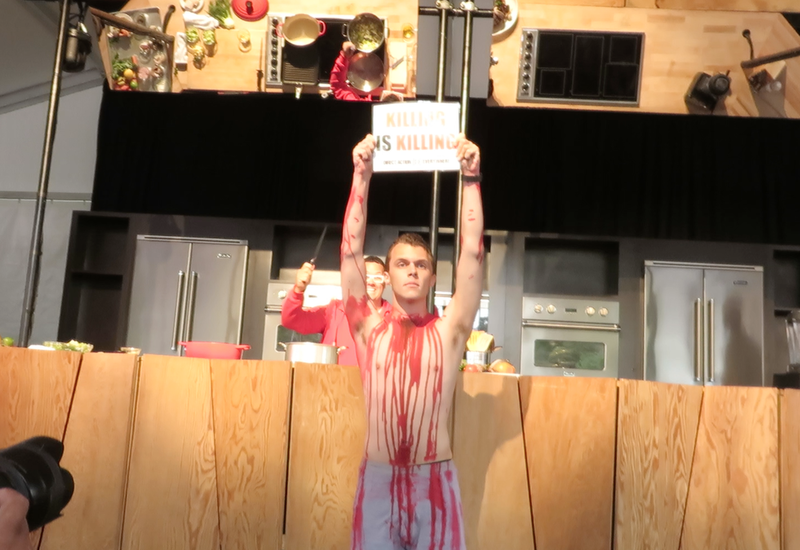 And at the Cultivate festival we disrupted just a few weeks ago, Chef Graham Elliot played “Meat is Murder” as he walked on stage (before we even made our presence known), and when we demonstrated, he joked about foie gras, in an effort to mock the animals and dismiss their oppression. 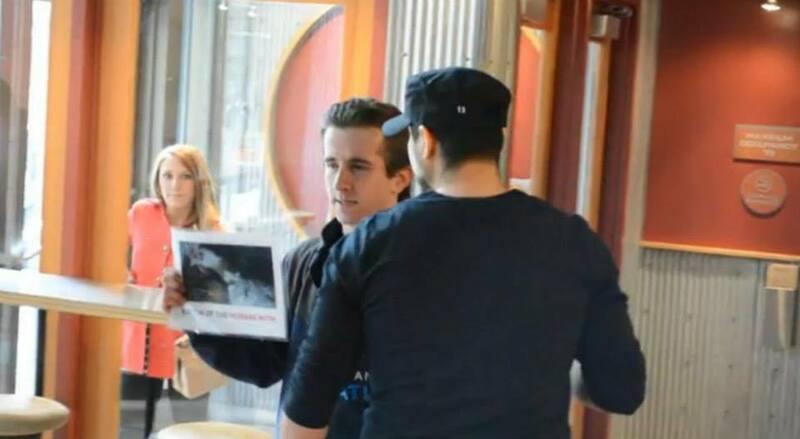 And you can see in the image above that he's behind Brian, pretending to be like a campy killer from a horror movie, making a joke not only of our comparison between violence against nonhumans and humans alike, of all violence. 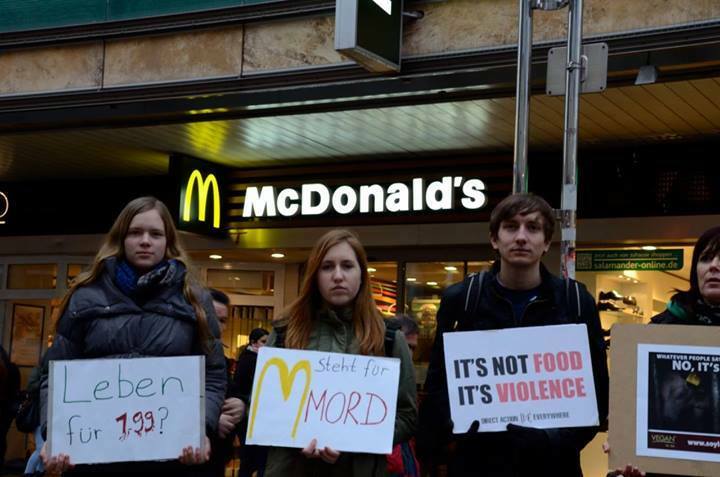 They source from animals exploited in the same awful conditions as every other fast-food chain, and they get more sales and substantial premiums from their "humane" rhetoric. 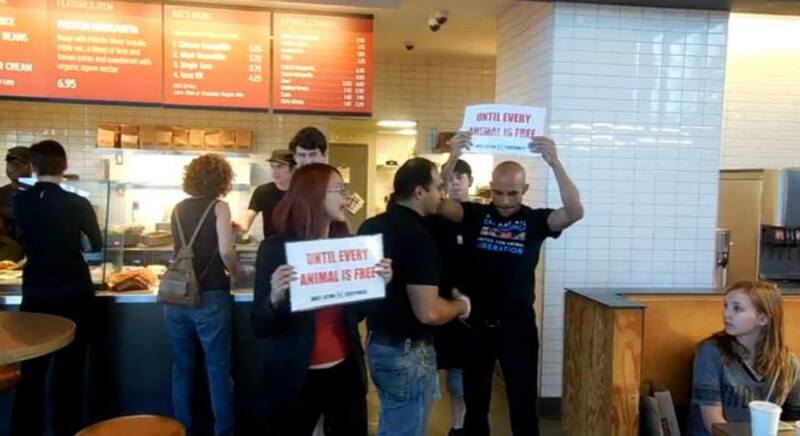 Their CEO has literally promised that Chipotle will never exploit animals, when the vast majority of the company's money is made from products that include using animals without their consent (and in crying protest of that violent use). If that doesn't already define "humanewashing" for us, the way their spokespeople are so incredibly dismissive of concern for violence against animals should make it abundantly clear that the company's claims of caring about animals are utterly superficial. 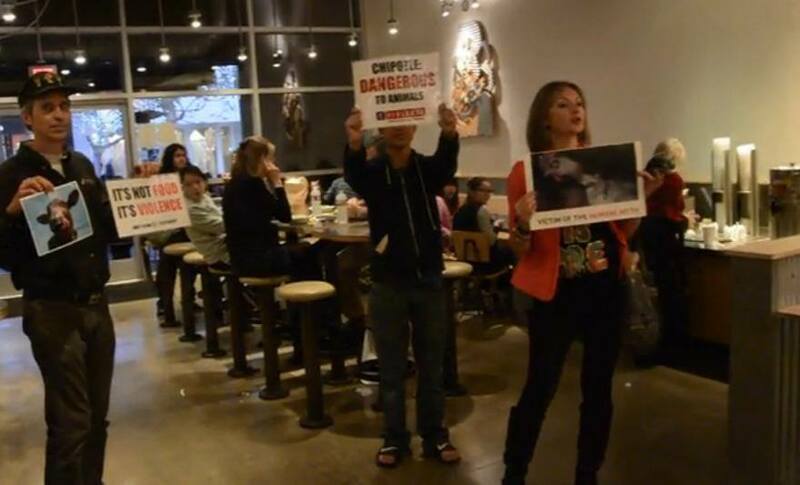 Chipotle is not animal-friendly. 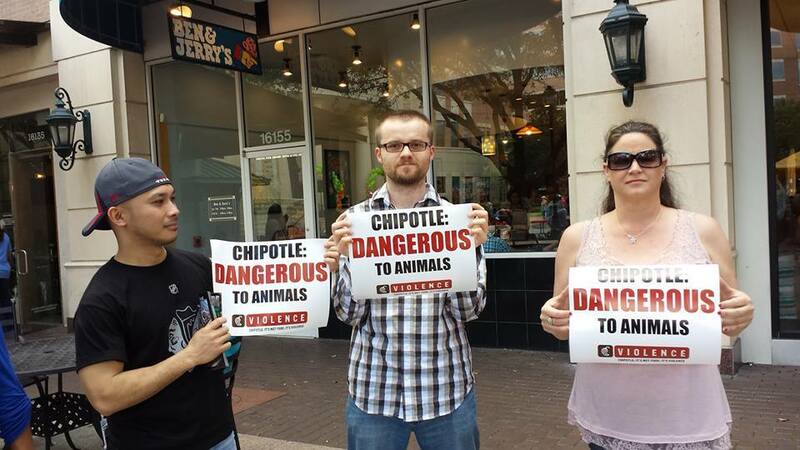 Chipotle a leader in the oppression of our nonhuman kin. We have to make it clear to the world that discriminating against, using, and killing other animals is not a positive thing to feel good about. Dispelling SeaWorld's corporate spin with events such as Empty the Tanks is key to the push for genuine change. SeaWorld and other marine animal prisons enslave and abuse animals. 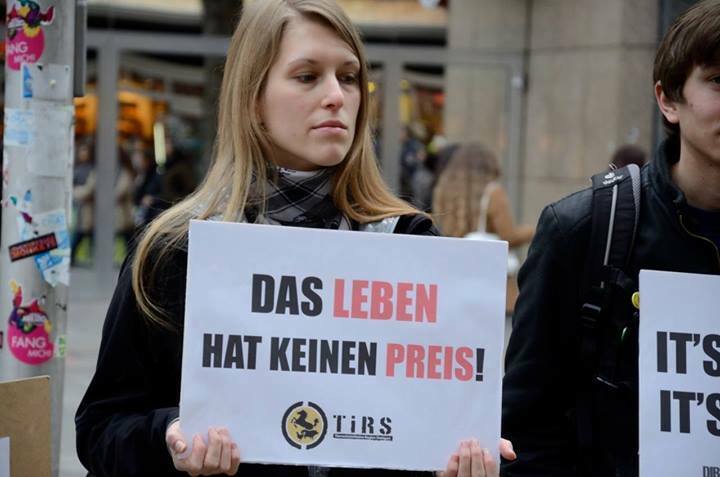 It is a truth that was aptly demonstrated by the movie Blackfish, and that activists will unite to say on May 24, at the Empty the Tanks Worldwide day of action. In the Bay Area, the tireless defender of marine animals and Taiji Cove Guardian, Lisa Robles, is taking the lead in taking on Six Flags (with support from the newly formed Citizens for an Animal-Free Six Flags). 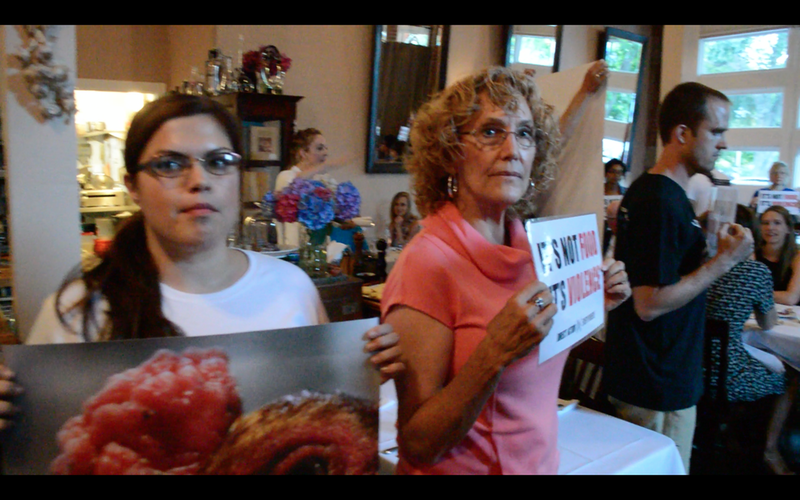 In San Diego, the remarkable activist and DxE organizer Ellen Ericksen is expecting 1000 to protest SeaWorld. And hundreds more activists all over the world will be converging at marine animal prisons behind a simple message: animals are not ours to use. But if you listen to the industry, they are doing great things for animals. SeaWorld, for example, glows about how it is "leading the way" in animal rescue and rehab and shares inspiring stores of saving baby dolphins from drowning in the tangle of a fishing net. They even went so far as to hire Bindi Irwin, daughter of the famous conservationist, as their Youth Ambassador. 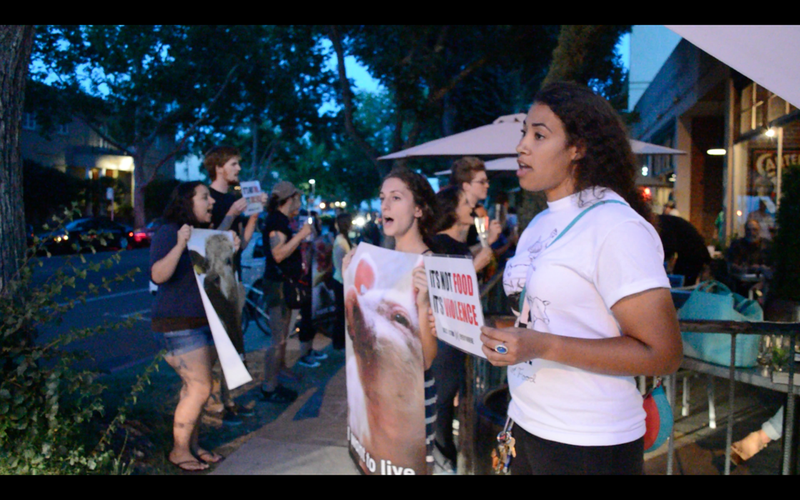 What is an animal activist to do? The first thing to note is that SeaWorld's motivations -- indeed, its legal obligation -- is to make profit for its shareholders. Whatever actions it takes are for that purpose, and, since the company has a fundamental financial interest in marine animal captivity, whatever "rescue and release" programs it involves itself in must, as a matter of legal requirement, serve their abusive reason for existence: profiting off of animals in captivity. The second is that SeaWorld's response is identical to virtually every other corporation challenged for animal abuse. "But we take care of animals!" Animal welfare is, in fact, a centuries-long tradition, and deft corporations always try to reframe criticism of their industry into praise for animal welfare. But the animal welfare dialogue, even if a sign of progress, is not enough. 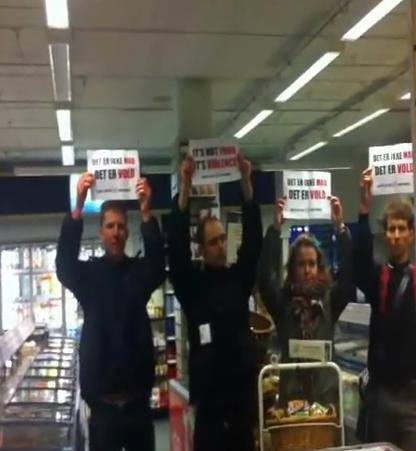 As we have seen in our own campaign against humane meat (where sales have often doubled after corporations begin to use humane marketing), the rhetoric of welfare is often used, not to encourage genuine and long-term improvements even in animal welfare (much less liberation), but to encourage greater public and consumer support for the practice at issue. We cannot allow ourselves to be duped by this marketing spin. The third is that if we don't provide a compelling response, SeaWorld's corporate spin will succeed. The history of animal industry is replete with examples of industry deftly diverting public outrage into meaningless reforms. Dwight D. Eisenhower said in 1958 that, if you went by mail alone, you'd think the entire country were only concerned about humane slaughter. But in the decades since, animal killing has not only increased, but the horrific cruelty of slaughter has continued unabated. The reason? Inertia. The status quo has a natural gravitational force that makes incremental progress hard to sustain. So while the protest on May 24 is an inspiring and powerful event -- one that we should do everything we can to support -- let's not forget that the story doesn't end with one day of action. If we want every tank to be empty, and every animal to be free, we have to recognize corporate spin, devise a compelling response, and continue our challenge to even the existence of these abusive industries. There is no such thing as a "good" way to hold animals captive. And if we can maintain the integrity of that message, we will see our vision become a reality. We say that we love animals. Seventy percent of us have an animal companion. Nearly three out of four say that we should “eliminate all forms of animal cruelty.” And two thirds say that an animal’s right to live free of suffering is just as important as a human being’s. But while the number of animal lovers has grown, so too has the number of animals being killed and abused. 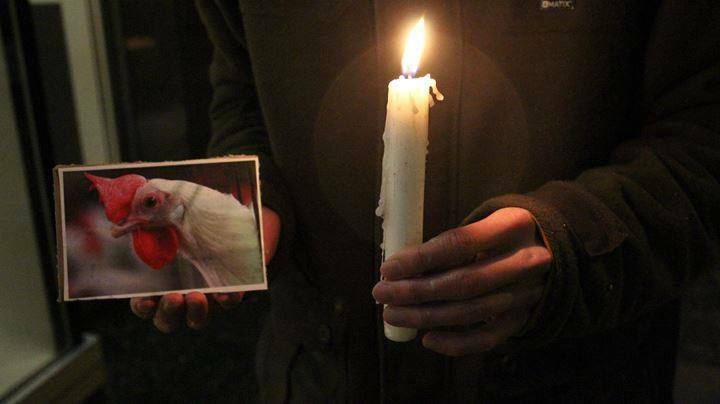 Our growing love for animals has come, strangely, with an increasing tide of violence. Why? We are told – by our community, our culture, and by corporate marketing departments -- that we can “love” animals… while eating their mutilated bodies. 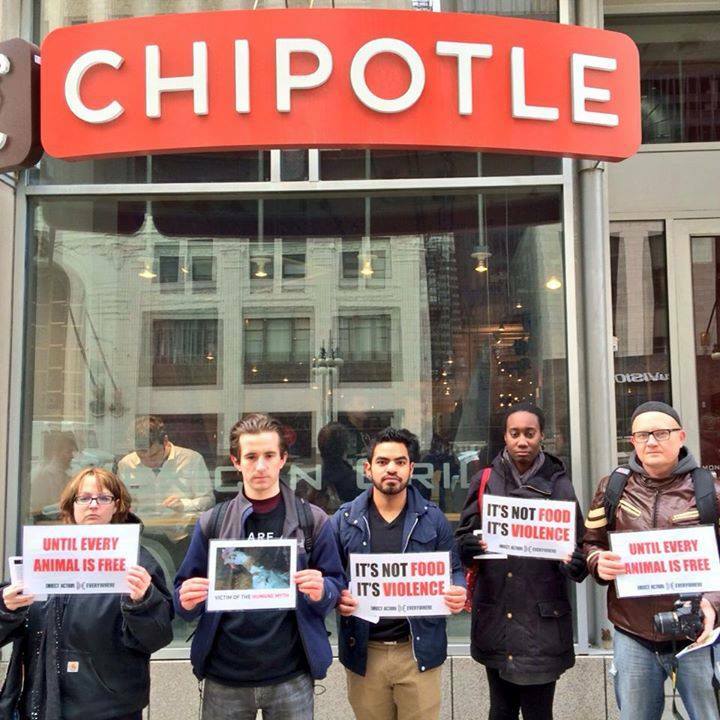 Massive corporations such as Chipotle explain to the public that their animals are treated with respect and decency. 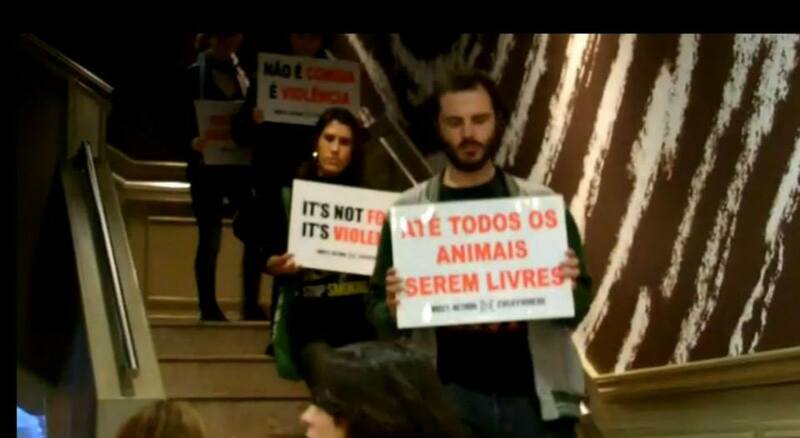 They say that they are “pro-animal,” and that they raise their animals responsibly. Their website and videos are filled with happy animals in sunlit grassy fields. 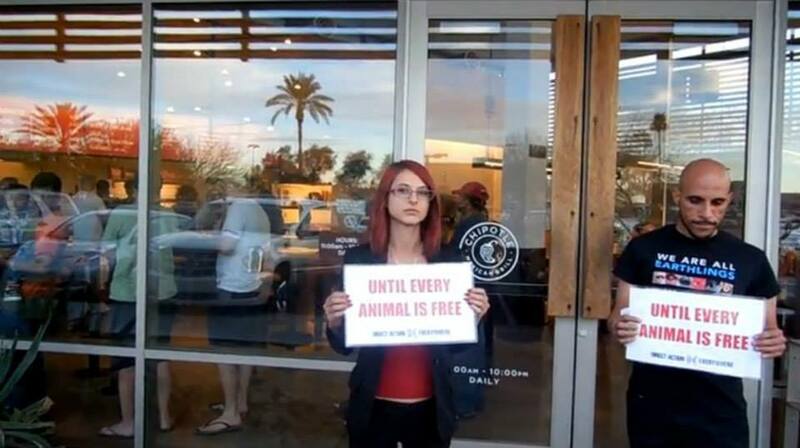 They’re so good to the animals, in fact, that animal lovers (even animal activists) feel compelled to support them! 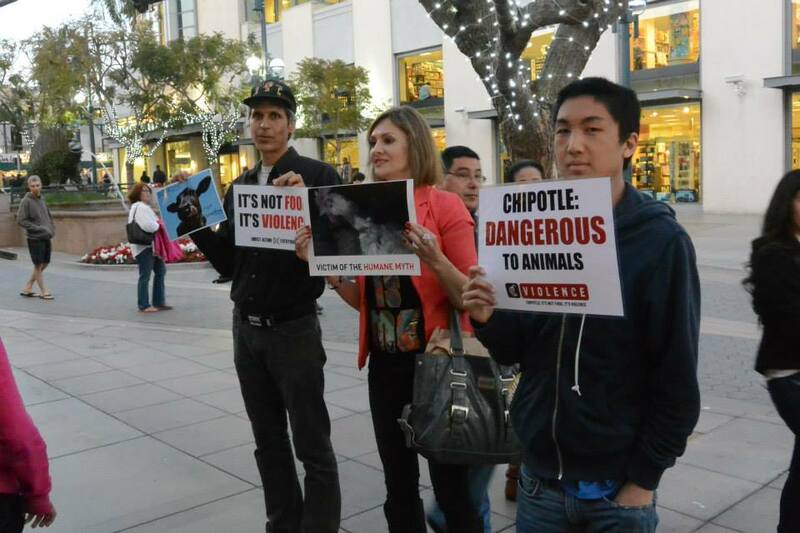 But this is not a true “love.” Chipotle is perhaps the fastest-growing animal killer in the world and the third largest publicly-traded restaurant company. They deliberately use words such as “natural” and “raised with care” because they know that such words have no legal significance. 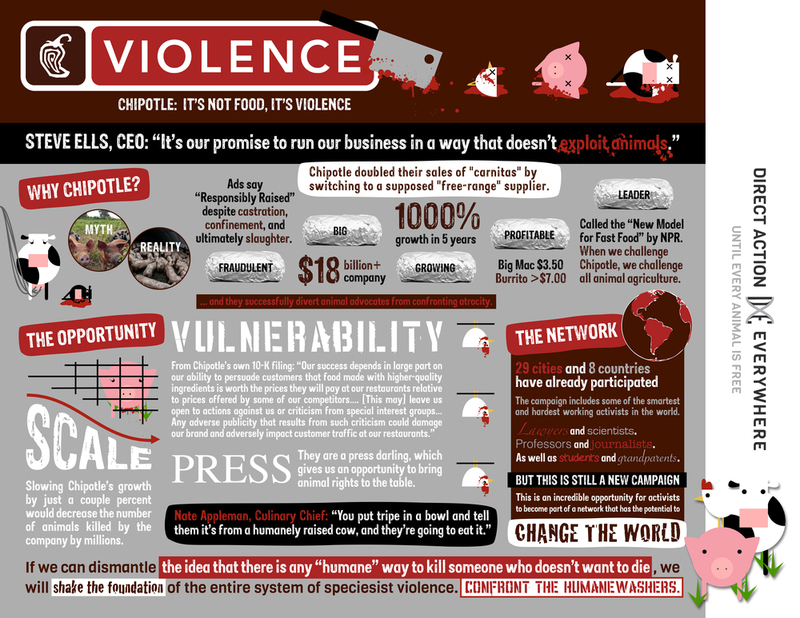 (Even meat industry publications have pointed out that Chipotle sources from abusive “factory farms.”) More than any other company, Chipotle has preyed on the public’s most admirable feelings–kindness, compassion, and love – and twisted them to serve its engine of violence. It’s time for that to change. 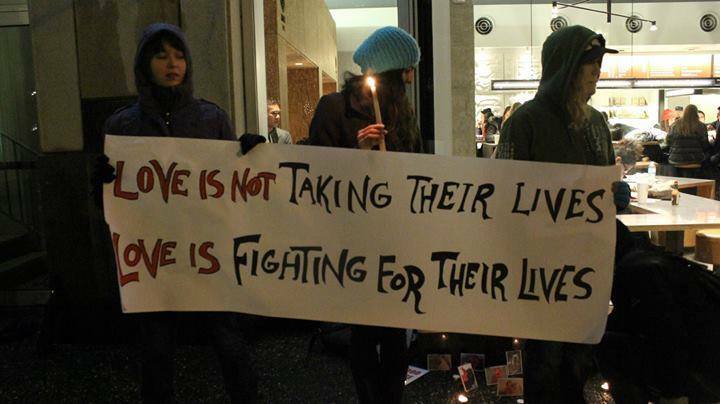 In February 2014, activists with DxE put love into action. There is so much value in making animal-eaters feel absurd. 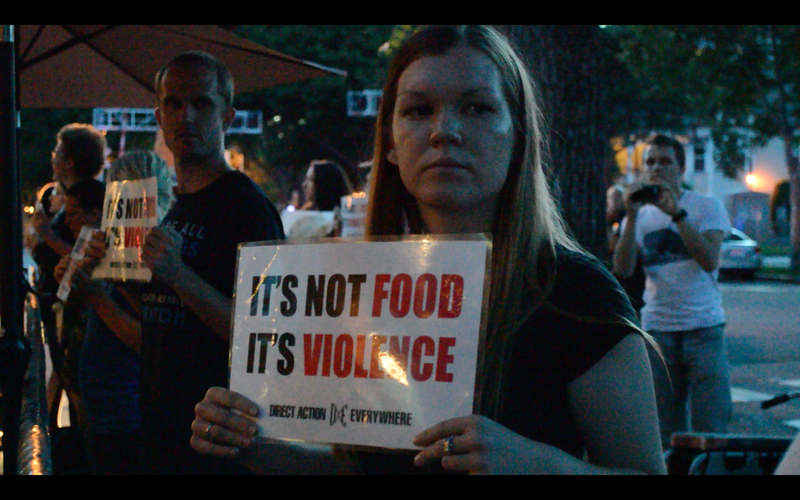 You are eating a child, a mother, a sister, a brother. You need to be told that you are doing something wrong, something immoral, and it's my duty to tell you that. There is so much necessity for honesty and confrontation in this movement. I've been way too comfortable lately. My Animal Liberation family understands me--they get it when I am frustrated about family members eating animals at home. They get it when my co-workers are making snide remarks at work. We respect each other’s sensitivities to these situations because we all share the same values. This safe space we've created for ourselves is so helpful, almost too helpful. 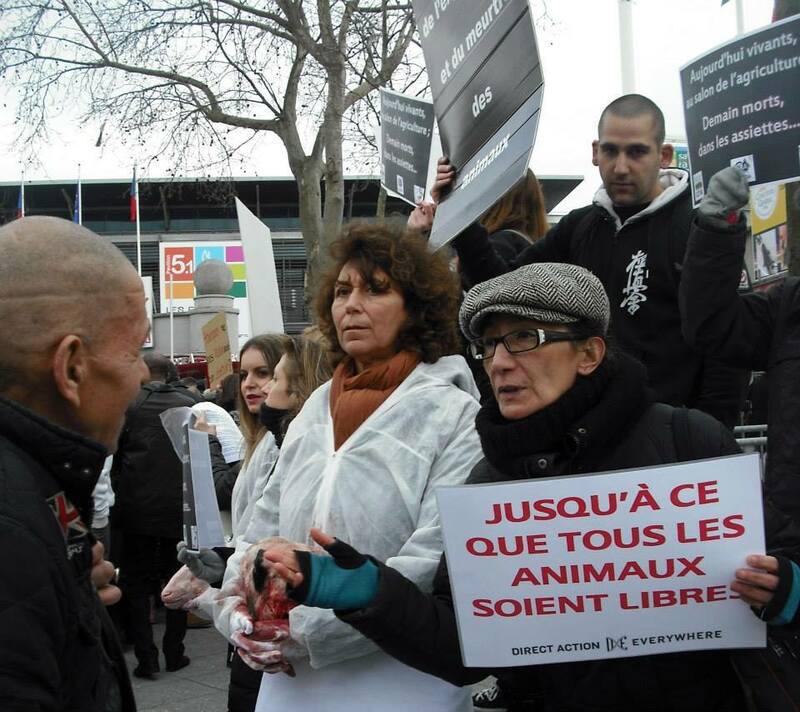 We have created a community of activists, of people who understand the importance of justice and equality towards everyone, especially non-human animals. It's such a relief knowing that even if I feel alone and isolated amongst co-workers and family members, I can come back to my family of activists, who will concur with my views. 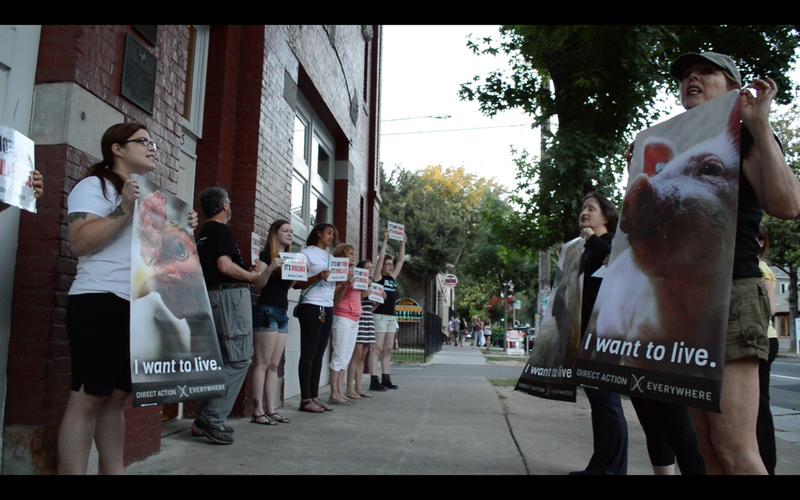 I find such solace coming home to a group of people who share a vision of Animal Liberation. So why am I presenting this as a problem? I am presenting this as a problem because as important as safe spaces are, there is so much need for us to be present and active in unsafe spaces. Oppression communicates itself through the use of language. The language of speciesism is what allows speciesism to flourish. So when you hear animal eaters talk about animals as objects (i.e: "eating meat" or "wearing leather"), you remind them that they are eating and wearing a "someone" not a "something." They may laugh at you, but your voice will have made this issue that much more serious, that much more relevant, and that much more important. "I can't believe we still live in a world where people think of non-human animals as things," is the harsh reality I am confronted with every time I am eating lunch with my co-workers or family members. Exploitation of non-human animals is not some abstraction. It's happening every minute, every hour, every day in front of us. Speciesism isn't just something which we talk about. We see it every day, and our society is infected by it. We used to be animal-eaters. We are activists today. Just yesterday, unexpectedly, a much older co-worker came up to me and told me about how our talk about Animal Liberation inspired him to call in to NPR and share his dog's story with Jeffrey Mason. This is not exactly someone who I expect to be sympathetic to the animal rights message, but he found something about what I was saying compelling enough to think further about Animal Liberation. We grow when we interject our perspective in spaces where our voices are usually marginalized. 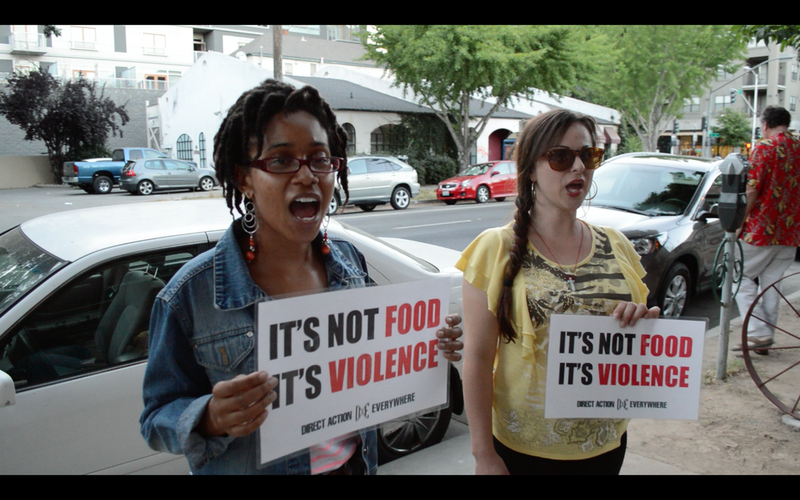 We incite change when we disrupt the otherwise normalized violence in spaces which are not expecting us to speak up. Most importantly, we remind ourselves why we are here when we risk our social standing to speak up for those who have been silenced for way too long.